This is the Affidavit Of Truth I submitted to the Paterson Municipal Court in an attempt to inject some truth into the proceedings. 1) I am a resident of Broward County in the state of Florida and have never been in the state of New Jersey. 2) I do not have the funds to travel from Florida to appear before the court in Paterson, NJ. 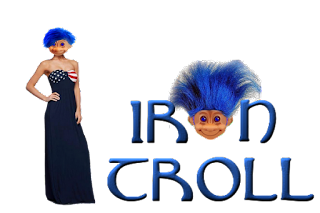 3) I am the sole owner of irontroll.com and its backup, theirontroll.blogspot.com. I write the blog posts and create the graphics under the persona Zile Ohai. I have never, received payment for operating irontroll.com or from it. It’s a noncommercial site with over 1200 articles on a wide range of topics and people. It is not written for, or to, the complainant. 4) I have never been to the city of Paterson, Passaic county, or the state of New Jersey. 6) Complainant has accused me of violating 2C:33-4. The New Jersey Supreme Court recently restricted the scope of that law in State v. William Burkert (a-6-16) (077623) by clarifying that harassing communications must be directed at a person. 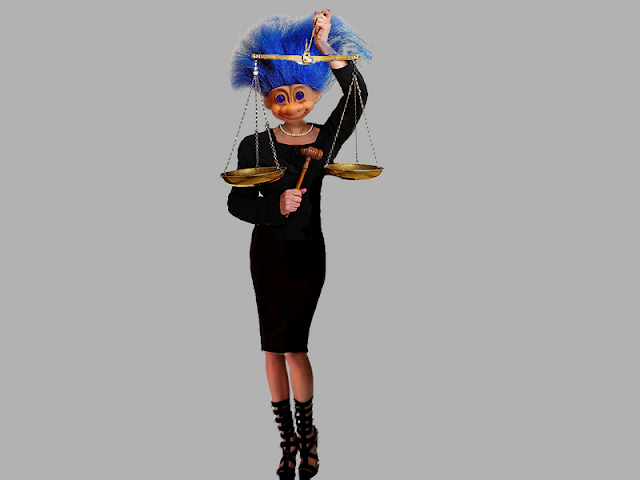 IronTroll blog, its blog posts and any graphics concerning the complainant are about her, not to her and not a violation of the statute. The law is being misapplied to chill permissible speech. 7) None of the evidence in the complainant’s discovery was sent to her so it required deliberate action on her part to view any of it. The complainant chose to engage on her own volition and was in full control of this activity in her NJ location. Complainant had to enter the internet address of irontroll.com on a web browser, search for an article, and then click on a link to view it. 8) Social media provides the means for each user to protect themselves from unwanted communication via a Block button. Complainant took the time and effort to file numerous complaints but has never blocked my account on Twitter. 9) Discovery presented by the complainant consists of screen captures that meet no standards of authentication. The captures don’t contain active urls to verify their existence and that they haven’t been altered. 11) The original Complaint stated the email contained “lewd and obscene” pictures. In fact, no pictures were included or attached. 12) In Discovery, the complainant changed her accusation, claiming the email contained links to “lewd and obscene” pictures yet the email provided in discovery had no links. In fact, the email contained links to court documentation supporting claims in the email. 13) The email questioned Spina’s fitness to run for an elected political office. In the summer of 2016, Spina and her husband ran for elected positions to be delegates to represent district 18. Running for an elected political position made the complainant a public figure and subject to public scrutiny and commentary which is protected speech under the first amendment. 14) Regarding Complaint #1, I am not James McGibney, the owner of Bullyville.com. I am not Grace Alexis, owner of QueenzOfMedia.wordpress.com. I have no control or influence over the content on either site. 15) Regarding Complaint #1, I am not @Lexie_Blue, @ErikEggstrada, @Cyco, @KarmaDroid, @teeth404, @patrickjohnspina, @porco. I do not have any influence or control over the accounts or access to use the accounts and never have. 16) Regarding Complaint #2, I am not @PIZZA_VINNIE, did not make prank phonecalls and did not attempt to contact complainant or whomever else she claims. 17) Regarding Complaint #3, I am not @RHONJFACTS, @YOUFLOATTOO, @DIGILLY, @THEONEODIN, @GROCKOWALSKI, @YOUMAMASEC, @LIBLIBERATED, @DANIELLEPR_NYC. I have no influence, control over, or access to these accounts and never have. 18) The graphic in question is one of over a thousand I’ve created for irontroll blog and social media. 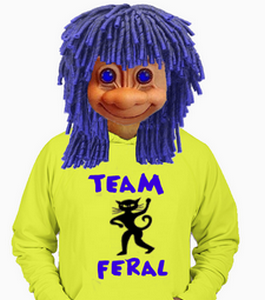 It is a parody representation and was used on irontroll blog for articles written about the complainant. Artistic expression is protected by the first amendment. 19) I have never posted, threatened to post, or claimed to have posted, wanted posters of complainant and her husband. 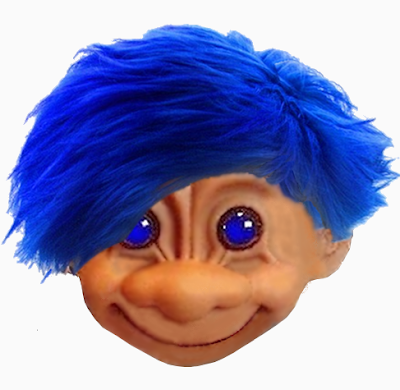 I have never created troll accounts on social media in the name of Vinnie Spina, her husband or their businesses. I have never posted, or caused to be posted, Vinnie Spina’s Social Security Number or any private personal or financial information. Discovery Materials are below the commercial break. EXHIBIT A. 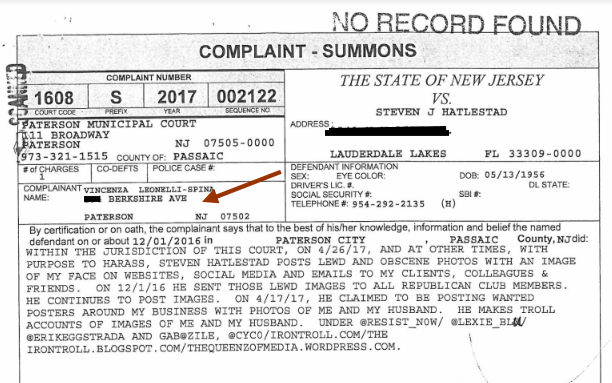 The complainant does not live in Paterson. Exhibit B. Paragraphs and links boxed in red were removed from the email sent. Exhibit D. The original email sent. You'd think Bridgegate would have taught New Jersey politicians that cover-ups and vindictive retaliation are not good strategic solutions. However, it seems the Fort Lee GOP hasn't learned this lesson so let me preface this email by stating that any further retaliation by anyone connected to the Fort Lee GOP, or any of their friends, will be answered with my involving the appropriate authorities to take legal action against Fort Lee GOP. Voter Intimidation is also not a good strategic solution. And It's a federal crime. With that being said, I strongly urge a financial audit of the Fort Lee GOP. I tried to warn them that they had a potential problem with the individual they appointed as their fund raising chair but I was ignored and then harassed. The fund raising chair for Fort Lee GOP is Vinnie Leonelli-Spina. While holding that post she was a defendant in two lawsuits involving misappropriated funds. One of the lawsuits was filed by the trustees of the New Jersey Lawyers Fund for Client Protection, the other was filed against Vinnie and her husband, attorney Patrick Spina by their former business partner. I should mention that besides being appointed fundraising chair for Fort Lee GOP, Vinnie Leonelli-Spina and her husband, Patrick, were candidates to represent their county on the New Jersey Republican Committee. They were candidates at the same time they were being sued. The Spina's lost both lawsuits. The courts found that Vinnie Leonelli-Spina , knowingly misappropriated money entrusted to her by her clients. This isn't the first time the courts have found Vinnie responsible for misappropriating money entrusted to her by clients. Leonelli-Spina was sued by a retired police officer and found guilty of stealing his pension fund. Judgement in that case was nearly $800,000. Vinnie had malpractice insurance but her insurers refused to pay when the judge found Vinnie was also guilty of fraud. Leonelli-Spina was eventually disbarred in 2008 by the New Jersey Supreme Court for, once again, knowingly misappropriating funds from several clients. By 2011, the New Jersey Lawyer's Fund had paid out $330,000 to clients she ripped off. After her disbarment, Vinnie attempted to avoid paying her court debt by declaring bankruptcy. This ended up before the New Jersey Supreme Court which ruled against Spina. It was also determined that she transferred her assets to her husband to avoid having them taken for payment of her debt. Links to her lawsuits can be found below so you can check them for yourself. One lawsuit for misappropriation might be considered a bookkeeping mistake but three lawsuits and a disbarment show a pattern of behavior, if not a life style. But it doesn't end there. After her disbarment, Leonoelli-Spina deliberately violated the terms of her disbarment by continuing to share office space with her attorney husband, Patrick Spina. She was actually found to be working there under an assumed name. Vinnie started an online blog called FauxRealityEntertainment.com which eventually became a forum for her to post the private information of people she didn't like. She's affiliated with two more websites, trolldox.com and tr0llz.com, where she and her webmaster, Brandon Charles King of Seguin, Texas, have posted the private information of 20 individuals, along with that of their children, for the purpose of harassment and intimidation. Considering all the above, perhaps you can understand why I find it bizarre that Vinnie and Patrick Spina were allowed to run for any public office in New Jersey. And why I find it unbelievable that Vinnie Leonelli-Spina was appointed to a position involving money. Questioning how this came about isn't unreasonable, yet I haven't been given a straight answer and have been subjected to harassment for asking questions. I managed to get the attention of council candidate, John Damato, on Twitter. He wasn't aware of Spina's history but issued a statement disavowing her abusive behavior. Damato was then mocked and verbally abused by several anonymous Twitter accounts, one of them known to belong to Vinnie Leonelli-Spina. That the fund raising chair for the Fort Lee GOP was trolling one of the candidates she was working to get elected is completely insane. I also informed the Fort Lee GOP of Spina's history via their Facebook page. They deleted my comment shortly after I posted it and then removed Leonelli-Spina's name from the Fort Lee GOP website as if that solved the situation. I wanted to find out if Spina herself had been removed so I contacted the Twitter account of Judith Fisher. Mrs Fisher is the Fort Lee GOP municipal chair, wife of Fort Lee GOP president, Eric Fisher and the person I was told who appointed Leonelli-Spina to the fund raising chair. I sent Mrs Fisher a tweet asking her why she appointed Vinnie. Mrs Fisher's response was to completely delete her Twitter account. I then sent an email to Judith Fisher to find out if Leonelli-Spina was still fund raising chair. Rather than reply, Mrs. Fisher forwarded my email to Leonelli-Spina and contents of my email were mentioned by the Twitter account known to belong to Vinnie Leonelli-Spina. She and her online friends then began trolling me, posting pictures of my deceased parents and deceased brother, along with their obituaries, while mocking them and me. Keep in mind that this was the week before the presidential election. Vinnie and her friends also posted my voter registration information publicly on Twitter and accused me of committing voter fraud. They tweeted out links to a voter fraud report form encouraging people on Twitter to report me for voter fraud. So this email is being sent in the hope of finding someone with the power to make sure Vinnie Leonelli-Spina is not holding any appointed post with the Fort Lee GOP and will not hold one in the future. I also hope to find someone who'll call for an audit of Fort Lee GOP's finances. If you read the assorted Spina court transcripts you'll get an idea how she operates and how easily money may have been misappropriated. I also hope to find someone who can convince Vinnie that her interests are better served if she stays off the internet. In any case, thanks for your time and attention. I hope you'll take a bit more time to review the following links to the lawsuits against Vinnie Leonelli-Spina. Exhibit E. Complainant sent complaint to Shari Warnick to extort silence.